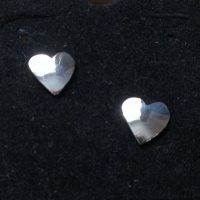 Stud earrings consisting of little hearts which are gently domed. 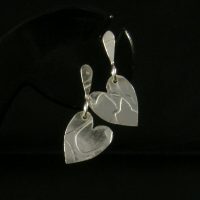 Heart-shaped drop earrings with an unusual texture. 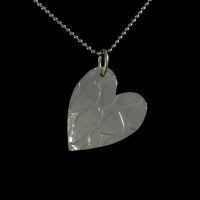 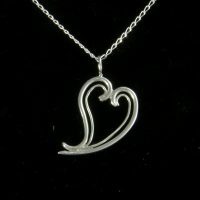 Matching pendant available.